Stephanie R. Fueger - O'Connor & Thomas, P.C. I grew up in the tri-state area, and am happy to call it my family’s home today. I am proud to represent clients in this community with their family law needs. As a mother, I bring a parent’s perspective to my practice, and I enjoy helping parents and families problem solve the issues that are most important to them. I strive for an approach to my client’s problems that is understanding and empathetic, while also fairly and firmly advocating for their best interests. 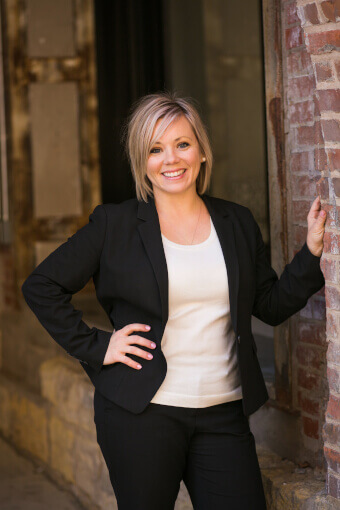 I understand the complex issues involved in family law cases, and I work for a practical solution that best meets your needs and goals as the client. I am dedicated to my clients and offer timely and responsive counsel that is tailored to your individual situation. I have been trained in collaborative law, a cooperative approach to solving legal problems that employs a team mentality to the process, and I can offer that approach to my clients as they think about the best way to meet their family law needs. I am also a trained mediator and serve as a neutral third party to assist parties in resolving conflict and working toward a more peaceful future. Outside the practice, I enjoy exploring the tri-state area (and beyond!) with my husband, John, and our three sons – Jack, Owen, and Ben. I love living in this community and being involved in activities and events that make it a wonderful place to call home. I am the secretary of the Dubuque County Bar Association and the president of the Young Lawyers Division of the Dubuque County Bar. I enjoy working with my colleagues to make our profession and the practice the best it can be. I am licensed in Iowa, Illinois and Wisconsin and available to serve your legal needs in those states. Please call me if I can be of assistance.